Our Customizable Back-Office Solutions Allow Your Business to Thrive. QBS is the answer to all your Payroll, Benefits and HR questions. Increase Payroll Compliance and Efficiency. Stay Current With the Latest Benefits Requirements. 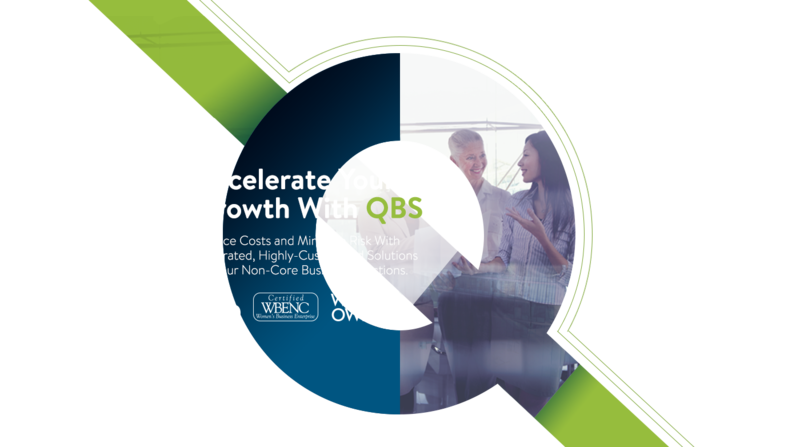 QBS offers the expertise and customized solutions needed to address the constantly changing requirements and standards associated with benefits. Turn Tax Problems Into Tax Solutions. From processing unemployment claims to handling state and federal tax forms, QBS removed the burden from your business. QBS delivers a comprehensive suite of HR practices and procedures that help streamline your business. Reduce Overhead and Enhance the Lives of Your Employees. QBS can help you navigate the complexities of workers’ compensation – and increase your bottom line. Build Strong Leaders & Exceptional Teams for Greater Results. With a focus on coaching, training, navigating transitions and organizational culture, we offer 100% customized solutions to meet your specific needs.